Betting on an airline industry recovery by the end of the year and a return to profitability in 2011, Chicago-based Boeing announced today that it will increase production rates on its popular 777 and 747 jumbo jet lines. 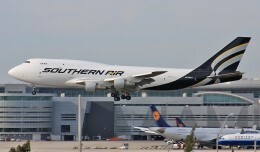 Cargo charter airline Southern Air introduced a new paint scheme on one of their Boeing 747-300s, which was caught at Miami International Airport by Luimer Cordero. 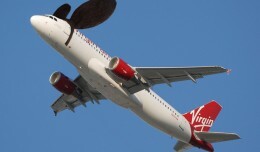 Virgin America announces new Orlando and Toronto flights and fleet expansion plans. 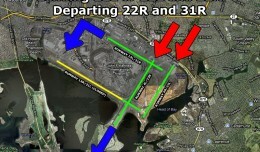 JFK's runway 13R/31L is in need of some rehabilitation, which will have a major effect on an already strained airfield operation. Here's what the changes will mean to travelers, airlines and planespotters. 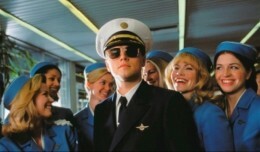 A man who flew hundreds-of-thousands of passengers aboard airliners all across Europe for over a decade has been arrested after it was revealed he is not a licensed pilot.